As you know, I’m really digging coral this season – so what could possibly be better than the eye-popping coral crème that was CND’s Poppyfield? Well, a holographic coral, of course! 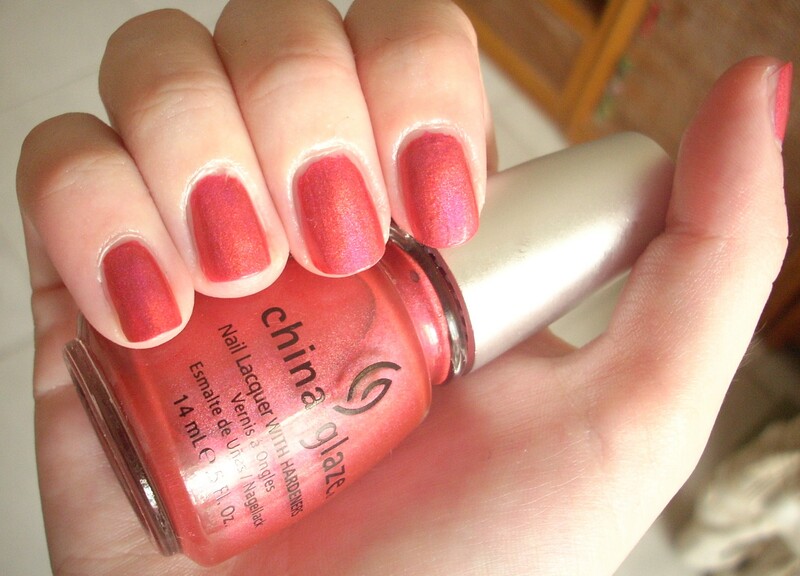 Skip forward, China Glaze’s TMI. Yes, it’s another one of those oh-so-awesome colours from the OMG Collection. TMI is from the warmer end of the spectrum, a lovely pinky coral that glows in natural sunlight. Those enchanting entrancing rainbow-reflecting properties are still very much present (albeit slightly weaker than the other OMG colours I’ve tried to date), but this time it’s very much the summer end of the rainbow that gleams back at you – all golds, pinks, oranges and red. For me, TMI is very much an instant winner in the daylight. It’s a really gorgeous colour, very flattering and there’s something about that rosy pink-toned coral that gives you the warm fuzzies inside. However, where it comes unstuck is in the shade or in yellow artificial light, where it turns into a weird dusty salmon, leaning towards rusty orange, which I found really rather nasty. Oh well, you gotta take the rough with the smooth and trust me, that first flush of rosy coral loveliness is definitely worth it. Application-wise, I found TMI to be a little trickier than the rest of its OMG cousins. The consistency was a tad gloopier and coverage was initially difficult to get even. However, it’s worth remembering that these polishes are now a few years old and when I found TMI, it was sitting unloved, unclean and with a formula that had separated many moons ago, so all this could well be a factor. Add some TLC to TMI and after a careful two coats, it looked fine. Although TMI is definitely not my favourite from the OMG Collection as it’s definitely a little tamer than its brothers and sisters, that might actually work in its favour for those of you who’d prefer an easily wearable, flattering colour that still boasts that holographic awesomeness. And let’s face it, rainbows are just irresistible, aren’t they?! 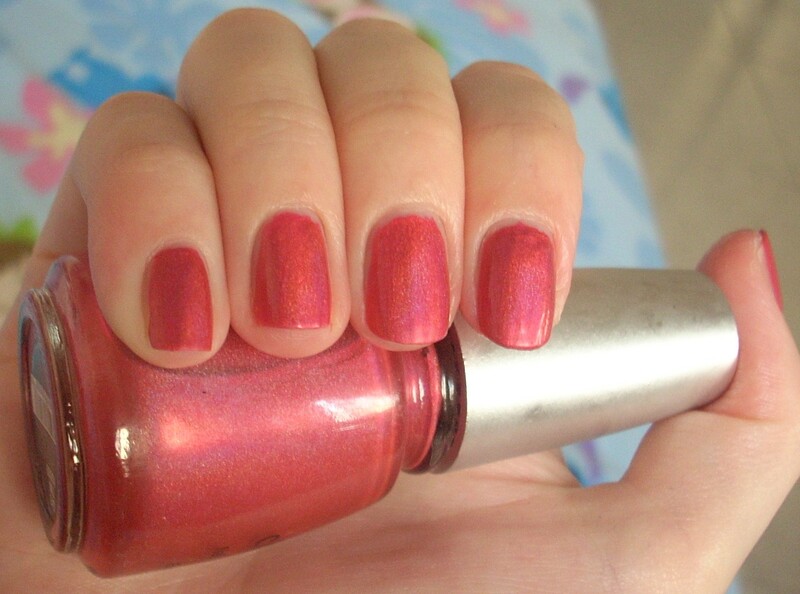 This entry was posted in Beauty and tagged Beauty, China Glaze, coral, cosmetics, holo, holographic, make-up, nail lacquer, nail polish, nail varnish, OMG Collection, review, swatch, TMI. Bookmark the permalink. I’ve actually managed to get the whole OMG Collection now, bar OMG itself (as I have quite a few silver holos now), but definitely not for as cheap as you so expect more reviews soon! I think my fave so far is IDK https://rachttlg.wordpress.com/2011/01/25/china-glaze-idk-nail-polish-review/ – just can’t resist purples! This looks so pretty! Is Nail Concept Company the store in Yau Ma Tei or the one in TST? I am a holo virgin so looking to stock up on some holos in HK soon. Does this Nail Concept store sell other China Glaze holo polishes? I found another place in TST that sell all of the OMG collection (bar OMG itself) but at $100 each, so I’d love to buy them cheaper if possible! Tinyqueen – Sorry all the little shops I’ve looked in blend into each other after a while, I think it’s near TST/MK area, hunt around all the backstreets! Caca – Yay! Another HK polish-aholic! I don’t see many of us on blogs! Nail Concept did not have many CG holos – definitely none of the best colours (purples, blues etc) and only one or two at the back, really dusty and separated . I think I know the place in TST you mean and I’d definitely buy them from there! Can I ask whereabouts is Purple House that you bought your BK nail polishes from? The black one is AMAZING! I just went to their MK shop again today and picked up more holos, what can you say, I’m addicted! Thanks for letting me know! I’m totally going! 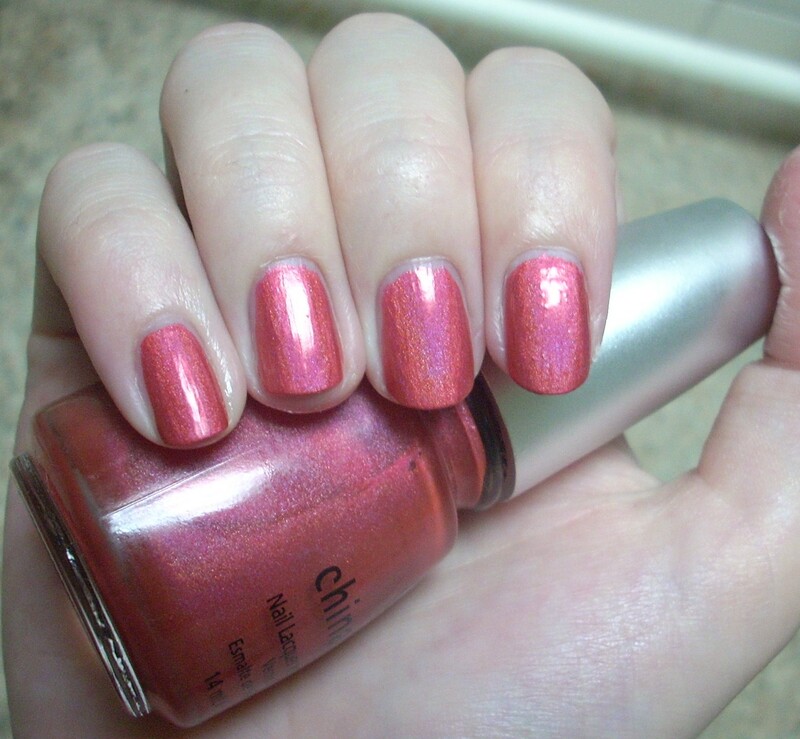 Btw I found some holos in some City Supers – they’re $65, small bottles and not many colours (silver, gold, pink-purple) but worth checking out if you’re as holo crazy as me!